Question: What is your assessment of the current level of Russian Azerbaijani bilateral relations, and what are the prospects of their enhancement? 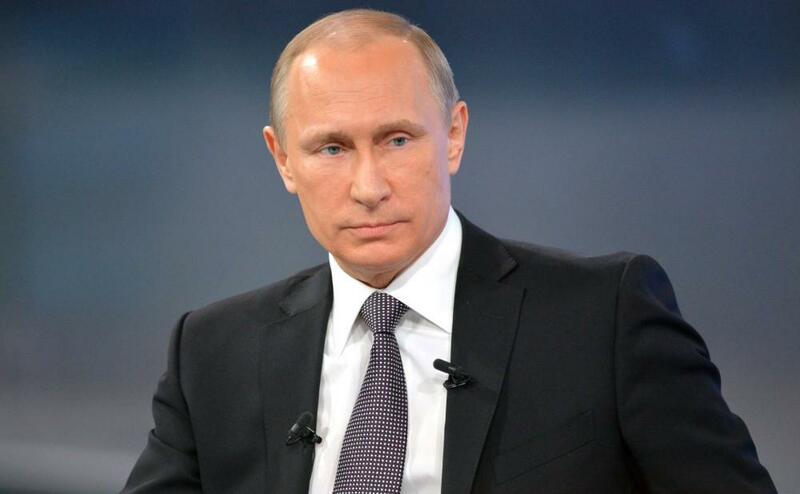 President of Russia Vladimir Putin: The relations between Russia and Azerbaijan are those of a strategic partnership. They are rooted in our long-standing traditions of friendship and good neighborliness, equality, respect for each other’s interests, common history and culture, and millions of lives that are closely intertwined. All these factors provide a solid foundation for developing trust-based relations between the leaders, governments and parliaments of the two countries. Mutually beneficial cooperation in such areas as trade and the economy, investment, energy, the transport infrastructure, the automobile industry and health care has been expanding. Also noteworthy is the fact that cooperation between our regions has reached quite an advanced stage. Today, 17 constituent entities of the Russian Federation work together with their Azerbaijani partners to implement agreements on cooperation in trade and the economy, science and technology and culture. Besides, enterprises and companies from over 70 Russian regions are engaged in trade with your country. We work closely together in the South Caucasus, as well as within the CIS and leading international organisations. We see great potential in increased cooperation in the Caspian Sea, primarily within the Caspian Five (comprising Russia, Azerbaijan, Iran, Kazakhstan and Turkmenistan) and the developing trilateral partnership involving Iran. Humanitarian ties play an important role in strengthening friendly and good-neighborly relations. In this regard, I would note a steadily growing trend for broader contacts in education. Currently, there are about 15,000 Azerbaijani students in Russia, while branches of Russian universities operate successfully in Azerbaijan. Our joint project, the Baku International Humanitarian Forum under the patronage of the Russian and Azerbaijani Presidents, has proven its relevance and importance as a platform for discussing key current issues. In a relatively short time (since 2011), it has become a major event in regional and international public life. Currently, together with our Azerbaijani colleagues, we are actively preparing the fifth Forum to take place this September. I am confident that the further progressive development of Russian-Azerbaijani relations is of special importance for ensuring regional stability and security, maintaining peace and mutual understanding in the South Caucasus and exercising the fundamental interests of our peoples. Question: The global crisis has affected bilateral trade between Russia and Azerbaijan, causing it to decline. You mentioned it at your meeting with Azerbaijani President Ilham Aliyev in St. Petersburg last June. What do you think should be done to boost trade and, more broadly, to incentivize economic cooperation between the two countries, including industrial collaboration and mutual investment? V.Putin: It is true that the adverse and challenging environment of the world economy has impacted our business ties as well. Nevertheless, Azerbaijan ranks fifth in Russia's foreign trade with the CIS countries (following Belarus, Kazakhstan, Ukraine and Uzbekistan). At the same time, Russia is a leading importer of Azerbaijani goods. According to the Federal Customs Service of Russia, in 2015 Azerbaijan-Russia trade turnover shrank by 30 percent, to $2.8 billion compared to $4 billion in 2014. This year we have not managed to reverse the situation yet: in January–May mutual trade amounted to $568.5 million, which is 52.8 percent less compared to the same period of 2015. We believe that an upsurge in the supply to Russia of Azerbaijani agricultural products, which are in demand on our market, as well as an upturn in exports from Russia to Azerbaijan of fertilizers and agricultural machinery necessary for the expansion of cultivation areas could all play a significant role in increasing mutual trade. We expect full implementation of Uralvagonzavod's plans to supply railway vehicles to Azerbaijan, Krasnoe Sormovo's plans to build and deliver two tankers for the Azerbaijani State Caspian Sea Shipping Company, as well as plans to launch joint pharmaceutical production with the participation of the Russian R-Pharm group of companies. Enhanced mutual trade in services in such fields as transport, the financial sector, insurance, telecommunications, culture and recreation could become yet another important track in the development of trade and economic ties. Today, they already add nearly 20 percent ($0.5 billion) to the total turnover. Consolidation of Iran's and Azerbaijan's railway infrastructure under the International North–South Transport Corridor project would offer new prospects for using Russia's and Azerbaijan's transit traffic capacities to their full extent. We believe it is important to foster collaboration between business circles of our countries within the Russian-Azerbaijani Business Council set up under the Russian Chamber of Commerce and Industry. We hope that a similar agency would be established in Azerbaijan as well. While there is a drop in trade turnover, our countries still witness rather stable investment cooperation development. Today, some 600 Russian companies operate in the Azerbaijani market, with about 200 of them with 100 percent Russian capital. Besides, Russia's direct investment in Azerbaijan amounts to about $1.4 billion. We will continue our work to create an environment that would encourage our companies to switch to carrying out mutual settlements in national currencies. At present, these are mostly performed in USD. There is no doubt that the current troubles in our bilateral trade and economic relations are but temporary. We are convinced that through concerted efforts and in close partnership we will be able to set our mutual trade on a path of sustainable growth. Question: Today, a new integration paradigm is taking shape – a regional cooperation framework that involves Azerbaijan, Iran and Russia. The North–South Transport Corridor project is believed to be the core element of this trilateral cooperation. What other projects, in your view, could make cooperation between the three countries sustainable and effective? Can this trilateral engagement help to remove some of the existing differences, for instance on such issues as the division of the Caspian Sea or the use of its energy and biological resources? V.Putin: On August 8, 2016, we will meet for the first time at a summit of the three Heads of State in Baku, at the invitation of President of Azerbaijan Ilham Aliyev, to discuss the prospects for developing long-term and mutually beneficial cooperation that would span diverse areas: from economic and humanitarian ties to security and the fight against terrorism. Our talks will focus on a flagship project – the International North–South Transport Corridor with a total length of 7,200 kilometers. It aims to provide the best possible opportunities for transporting transit cargo from India, Iran, and the Gulf States to Azerbaijan, the Russian Federation and further to Northern and Western Europe. Notably, in 2015, the overall cargo traffic along the International North–South Transport Corridor involving JSC Russian Railways amounted to 7.3 million tons, exceeding the level reached in 2014 by 4.1 percent, or by 0.3 million tons. Other promising areas for cooperation include the implementation of strategic investment projects in the energy sector and the transport infrastructure. There are opportunities for expanding trade in the services, including those in tourism, healthcare and education. Indeed, the trilateral dialogue will also cover the Caspian issue. It is common knowledge that in recent years, the Caspian Sea states have made headway in reaching a consensus on matters related to various aspects of cooperation in the Caspian Sea, including the use of its energy and biological resources. Relevant agreements were signed and are now being successfully implemented. Work on the core Convention on the Legal Status of the Caspian Sea is nearing completion. Question: Following the decision reached on the settlement of the situation concerning Iran's nuclear program, there was a marked increase in contacts between Moscow and Tehran. Iran, in its turn, seeks to play a more proactive role in the region, particularly to consolidate its status within the SCO. What is your vision of the prospects for Russian-Iranian cooperation? V.Putin: Iran is Russia’s longtime partner. We believe that bilateral relations will benefit from the reduction of tensions around Iran following the comprehensive agreement on the Iranian nuclear programme. First of all, we intend to continue fostering trade and economic cooperation. During my visit to Tehran on November 23, last year, and my negotiations with Iran’s Supreme Leader Ali Khamenei and Iran's President Hassan Rouhani, I found that Iran’s leaders genuinely share this approach. Thus, through collective efforts we have managed to increase the volume of mutual trade. In the first five months of this year, it grew by 70 percent, reaching $855 million. In certain areas, Russian-Iranian cooperation has already become strategic in nature. This is particularly true of the joint work in the field of peaceful nuclear energy. Iran’s first nuclear power plant, Bushehr was built on the basis of Russian technologies. Plans for the construction of 8 more nuclear power units by Russian specialists in Iran have been agreed. We will further assist our Iranian partners in implementing the Plan of Action on Iran's nuclear program, including the processing of enriched uranium and the conversion of facilities to produce stable isotopes. Large-scale joint projects in the oil and gas sphere, and the aerospace and electric power industries are being developed. For instance, Russia intends to grant two state loans to Iran to the amount of €2.2 billion to finance the construction of a thermal power plant near the city of Bandar Abbas on the Persian Gulf coast and the electrification of the Garmsar–Ince Burun railway section in the north-east of the country. The creation of a free trade zone between the Eurasian Economic Union and Iran can give a strong impetus to trade and investment contacts between Russia and Iran. The joint research group, which will study in detail the parameters of a possible agreement, has already begun its work. We are also interested in strengthening our partnership with Tehran in regional affairs. We consider it an important factor of maintaining stability and security across a large territory from Central Asia and the Caspian region to the Middle East. We will continue to support Iran's pursuit of full SCO membership. Question: Recently, the world has faced an unprecedented upsurge of terrorism and violence, including in close proximity to our countries' borders. What steps could Russia, Azerbaijan and Iran take to ensure their common security and address the threats? V.Putin: We are most certainly concerned about two hotbeds of instability, in Afghanistan and in the Middle East, that are situated in the immediate vicinity of the Russian, Azerbaijani and Iranian borders. They pose a grave threat of international terrorism and cross-border crime primarily due to the increased drug flow, arms trafficking and movement of fighters. Let me specifically underscore that the recent terrorist attacks perpetrated in various regions of the world prove yet again that terrorism can be addressed solely through a common effort guided by the norms and principles of international law and coordinated by the UN. In this endeavor, there can be no double standards; terrorists cannot be divided into "good" and "bad" ones. And, of course, it is unacceptable and extremely dangerous to try to exploit terrorist and radical extremist groups out of political and geopolitical interests. These are the very principles that our countries actively promote within the international community in an effort to broaden and strengthen as much as possible international cooperation at the political level as well as at the level of law enforcement bodies and special services. Today, we can say that Russia, Azerbaijan and Iran are engaged in a close dialogue on this issue. Therefore, Russia collaborates with Baku both within the CIS Anti-Terrorism Center and on a bilateral basis. Russia and Teheran have similar key approaches as well. We see additional opportunities in enhanced multilateral anti-terrorism cooperation within the SCO. Together with our Iranian partners, we are engaged in the Clean Caspian Sea operation aimed at cutting off drug trafficking routes. The Caspian Anti Drug Group of Five forum has considerable potential. I believe there are also good prospects for intensifying interaction to counter terrorism and drug trafficking in a trilateral format. Question: Lately, Russia has strengthened its mediation efforts aimed at finding a solution to the Nagorny Karabakh conflict. As is well known, it is through the mediation of the Russian side that the ceasefire regime along the line of contact was restored after the escalation of tension in April 2016. Russia also initiated the St. Petersburg meeting between the presidents of Armenia and Azerbaijan, which was considered useful and fruitful by the sides. There is a perception that Russia is the one to take on a crucial role in untying the Karabakh knot. Do you agree? V.Putin: Russia’s bond with Armenia and Azerbaijan builds on deep historical roots, the strategic nature of our relations, and geographical proximity. Therefore, it is our genuine interest that the neighboring region is peaceful and calm again, that casualties stop, borders open, and economic ties are restored there. We are doing our utmost for that. I recall that, in May 1994, the ceasefire agreement was signed with the direct assistance of Russia, and it is still the basis of the truce. The adoption of the 2008 Moscow Declaration was an important step. It confirms that a conflict settlement should be achieved through political means alone. By the way, this is the first and still the only document on the Nagorny Karabakh settlement signed by the presidents of Armenia and Azerbaijan. It was Russia again that played the crucial role in the cessation of large-scale hostilities at the beginning of April 2016. I would like to particularly emphasize that we are not trying to impose some ready made solutions upon Armenia and Azerbaijan. The sides should reach an agreement and find mutually acceptable solutions independently, without external pressure. This is our firm position. Reaching a compromise means finding an optimal balance between the principles of territorial integrity and the right of peoples to self-determination. We are fully aware of the responsibility that rests on the shoulders of the Armenian and Azerbaijani leadership. We welcome the constructive approach that prevailed during the latest summit on the conflict settlement held on June 20, 2016, in St. Petersburg. The final goal of the settlement should be an agreement with no winning or losing sides, with mutual concessions and benefits for both sides that are clear to the public in both Armenia and Azerbaijan. In its turn, Russia is ready to support a solution that would be acceptable to all parties involved and, together with other mediators, to act as a guarantor of the settlement. I would like to touch on one more issue. We often hear that Russia is trying to monopolize the work related to the settlement of the Nagorny Karabakh conflict and push other mediators aside. That is a misconception. The trilateral summits on the Karabakh issue with the participation of the Russian President – there have been more than twenty such summits – perfectly complement the efforts by the OSCE Minsk Group co-chaired by Russia, the US and France to settle this conflict. It should be noted that US and French representatives attended the concluding part of the abovementioned trilateral summit in St. Petersburg. The Russian Minister of Foreign Affairs, Sergey Lavrov, and the Minister of State for European Affairs of the French Foreign Ministry, Harlem Desir, were, in their turn, invited to the meeting between Ilham Aliyev and Serzh Sargsyan held on the initiative of the US in Vienna on May 16, 2016. Such an approach is an example of how we can and should work to settle international conflicts. I hope that our joint efforts will help the sides to reach a consensual solution.